The first version of Microsoft Excel was released 31 years ago. Today, Excel is one of the most used programs especially by business professionals. Thousands of businesses rely on Microsoft Excel and use it for different purposes. But in the wake of online tools and cloud systems, an alternative solution came up threatening to take its throne. 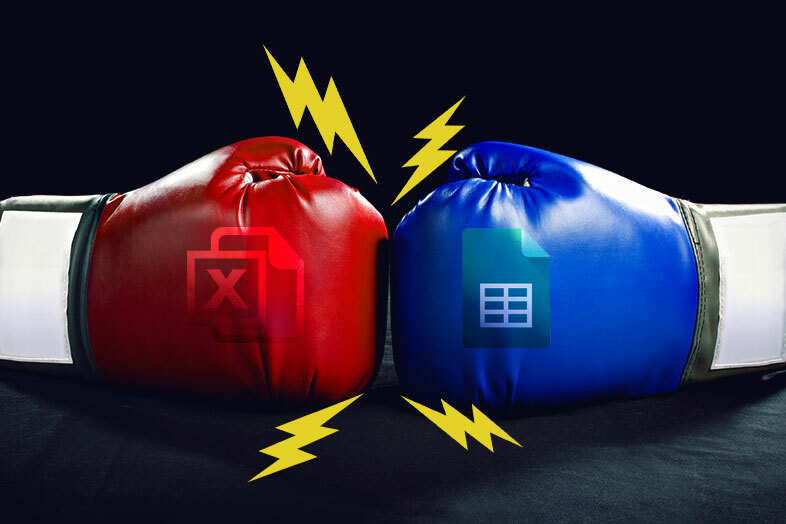 Can Google sheets do everything Excel can? As you can see from the list above, Google sheets cover most of the basic Excel spreadsheet features. You can use Google sheets to store data, to make data visualisations, charts, to make formulas but all these mentioned features are limited, compared to Excel. If you need to handle bigger amount of data, create complex formulas and better looking charts, that the answer is no- Google sheet cannot do everything Excel can. On the other hand, Google sheets has other advantages and some people may find it as a better solution to Excel. If you decide to use Google sheets, and you have Excel files in your computer, you can upload all those files in Google Drive and open them in Google sheets. Here’s how to switch from Excel to Google sheets in just a few steps. Sign in to your gmail account and open Google Drive. Click on “New” and then on “File Upload” to upload one Excel file at the time. To upload multiple files at once, you can create a folder first and then upload the whole folder. When the file is uploaded, you will see the check mark in the right bottom of the screen. Then open a document with a double click and if you want to get a Google sheet version of that document, choose the option “Open with Google Sheets”. Unfortunately, Google sheets doesn’t support all formulas you create in Excel, especially the complex ones. Here you can find the list of all formulas and functions supported by Google sheets. And here you can find the list of incompatible formulas between Excel and Google sheets. If you are having troubles with converting Excel formulas that are not on the list, you should write a message in Google Drive forum and someone will give you a correct answer.